This post may contain affiliate links. For more information, visit our disclosures page. This weeks Thinking Tree book up for review is a fun book kids will love. Now I know math is not a favorite subject for many children but give them Comic Book Math Fun-Schooling Journal and suddenly you will have kiddos wanting to do math (even on the weekends!). 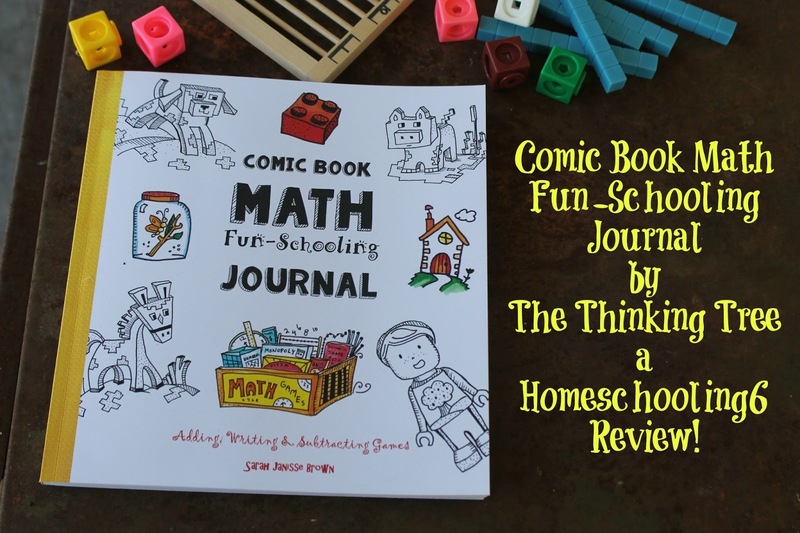 Comic Book Math is another gem of a book that Sarah created for some schooling fun! When kids are learning while having fun things stick and they remember. And what makes this book extra special is it has a Minecraft - LEGOish theme! Comic Book Math is perfect for children who are visual thinkers and children with ADHD, Asperger's, and Dyslexia. There is lots of space to get creative (nothing wrong with doodling in a math book. Sometimes that helps a child retain what they are learning). Comic Book Math is for children ages 6-11. 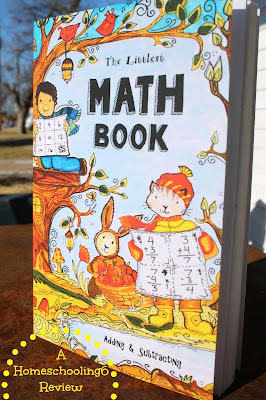 Some of it may seem easy like the skip counting pages for an 11 year old but if your child struggles with math having something that seems easy to him/her will really boost their confidence. Some pages are designed for the child to use with a sibling or parent by making a math mystery for you to solve! Genius idea don't you think! This a great way to get involved with your child and show him that learning is fun and enjoyable. In case you are wondering what a math mystery is -let me explain =) it's just another way to say math problem but with keeping the Fun-Schooling them Sarah switched the word problem with mystery. Viola, math is a mystery to be solved not a problem to be found! Your child will use logic to solve with almost all the activities which helps because they won't need so much help from mom and that makes them feel like a math genius. If you have an older child that struggles understanding the basics of math or a younger student just starting out. I'd encourage you to give Comic Book Math a try. Especially if you have a struggling child that is starting to have a dislike for math and numbers. Notice the word "Journal" in the title of this math book. I've never seen a math book encourage journaling, has the child make and write their own comics, and just doodle on the pages if needed. What a great way to sneak in some writing in a fun way. Comic Book Math has some of the same math problems as The Littlest Math Book. The Littlest Math Book doesn't have a LEGOish or Minecraft theme though nor does it have pages for creative writing. Comic Book Math has been recently updated with 20 more pages! One of the updates is bigger practice problems. What happened next? pages sprinkled throughout the book. Lance is using Comic Book Math. He's twelve, a little older than the recommended age but it's giving him good practice of those basics facts as he moves on to higher math in his regular math program. Plus he gets to get creative and write (loving that part as a mom). 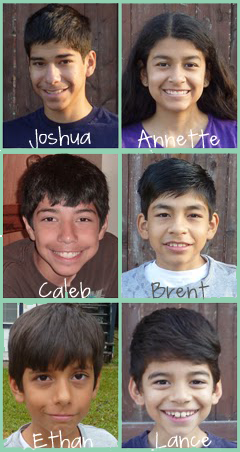 I'm Linda, child of God, happily married to my Sweets, we have six children ages 19, 17, 16 ,15, 13 and a 12yr. old. They keep life fun! I enjoy blogging our days for the children. I usually have two cups of coffee. One in the morning and one while I blog. My favorite colors are brown, baby blue and pink. 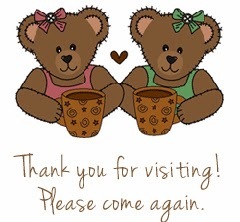 Hope you enjoy your visit! Please visit my Lilla Rose store. The Thinking Tree Thursday Link-Up! Homeschooling6 is a participant in the Amazon Services LLC Associates Program, an affiliate advertising program designed to provide a means for sites to earn advertising fees by advertising and linking to amazon.com. If you click on these links and make a purchase, I may receive a commission. This does not cost you anything. I am selective of products I recommend. I never recommend a product I would not use myself.